The transit through the Panama Canal was, for me at least, the main event of the cruise and it did not let me down. After experiencing the canal first hand I can understand why it is considered one of the greatest man-made achievements. The history of the canal first started with the French, the same person who ran the dig of the Suez Canal thought he could do the same in Panama, one problem, there is a few hills in the way, so digging a wide trench is not feasible. After the French company went bust due to poor engineering skills, financial mismanagement, corruption and a very high mortality rate due to Malaria and Yellow Fever, the idea was taken over by the US, who purchased the rights to the canal from the French. 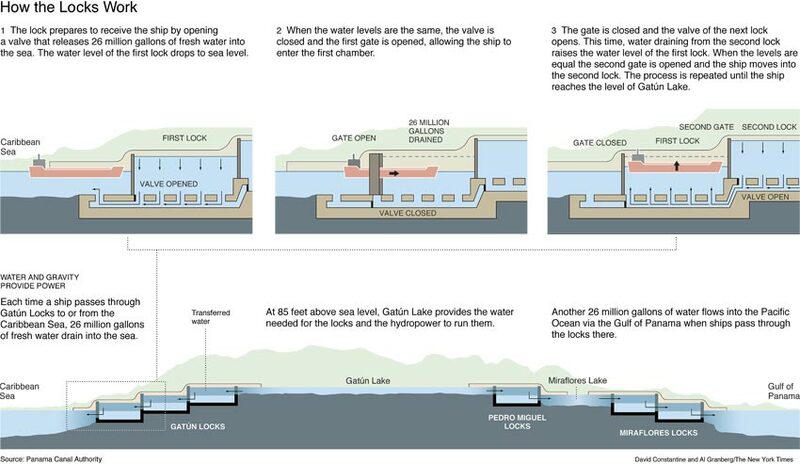 The US employed engineers and people with experience in building significant projects like railroads who decided that the approach that the French were intending to use was not feasible and developed a new approach that would incorporate gravity fed locks, three on each side of the canal. They would also have to build a large dam, it was the largest in the world at the time, fight off malaria and yellow fever, it was during the building of the canal that the way to fight Malaria and Yellow Fever was identified, the eradication of mosquitoes, the occasional issue with the locals and to orchestrated the declaration of Panama’s Independence from Colombia, the term “Gun Boat” diplomacy was coined as a part of this. The building of the canal took 10 years and was completed in 2014. 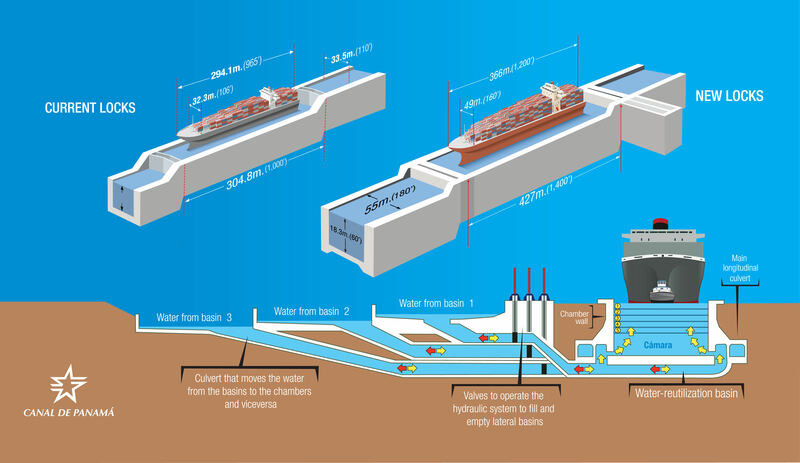 For more detail try the Wikipedia links for the Panama Canal and also Health Measures During the Construction of the Panama Canal. 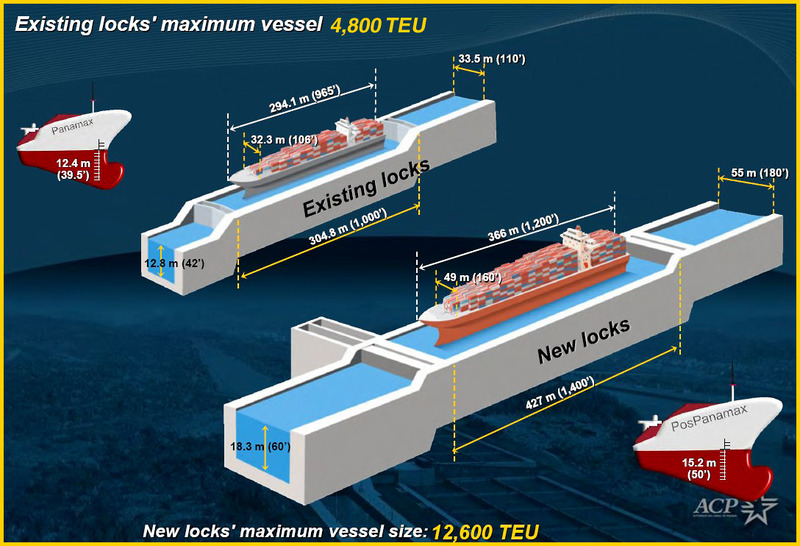 The main limitation of the canal is the size of the ships, only ships and vessels that are Panamax size or smaller can transit the canal, which is why there is a project in progress to build a new set of locks that can accommodate larger vessels, a little under 3 times the size of the existing Panamax Ships. This project was meant to be completed by 2014, in time to celebrate the centenary of the canal, but they ran out of money, only a few billion, and it took a long time to arrange new the financing, which delayed its completion, the building is still in progress, not sure when the new locks are scheduled for completion now. Our transit was to be a rare one as it is apparently unusual for two Passenger Ships to be transiting side by side, the Norwegian Jewel would be in the locks next to us as we transit the canal, they would enter first. The next few posts will be of the photos I took during the transit. It was a great day, the one disappointment is that we did not get to visit Panama City as a part of the cruise, will have to do that some other time.